A dozen Roses on Valentine's Day? 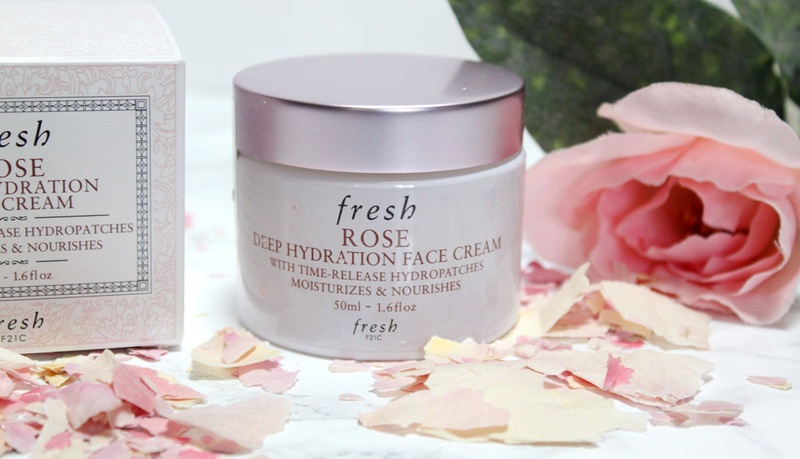 Nah, I'd rather treat my skin to FRESH Rose Cream. I have spent much of Winter trying out new moisturizers in an attempt to combat dry skin. We rarely experience such cold, dry weather here so this was new territory for me. 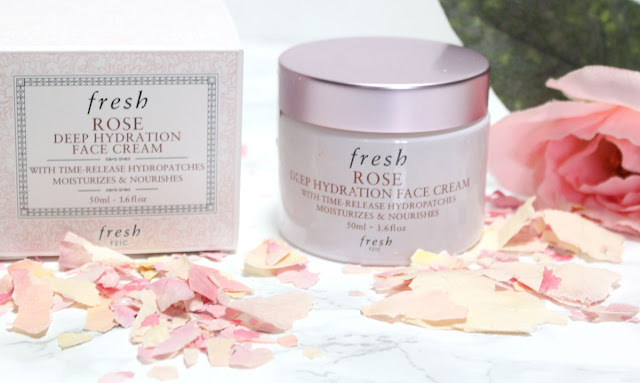 After becoming hooked on FRESH Rose Face Mask and the Sugar Lip Treatment I wasn't at all hesitant to give the Rose Cream a go. They had me at Deep Hydration! 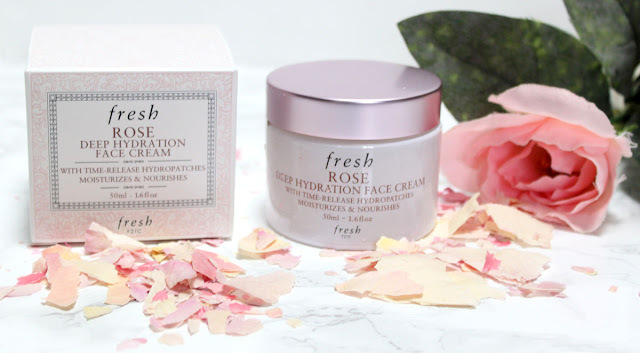 FRESH Rose Deep Hydration Cream is a lightweight gel-cream infused with soothing rosewater and nourishing rose flower oil that delivers intense 24-hour moisture for petal-soft skin. The lightweight formula uses time-release technology to encourage ideal hydration levels by attracting and sealing in moisture throughout the day. Exactly what I need right now! 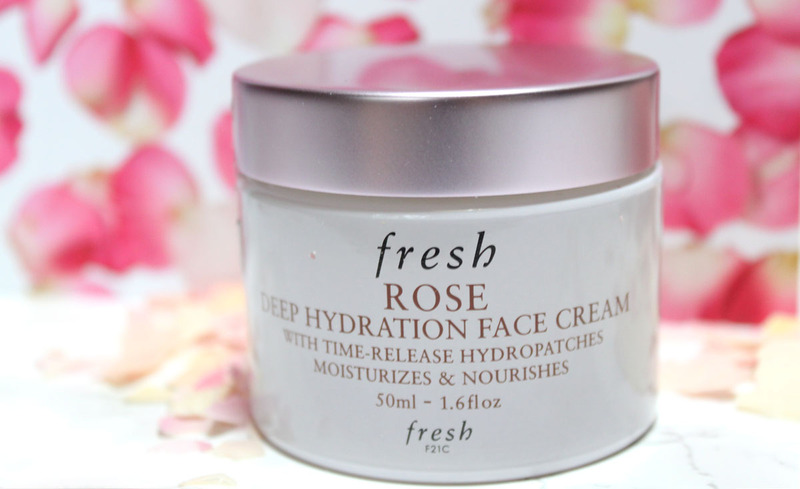 Fresh Rose Deep Hydration Face Cream delivers intense 24-hour moisture for normal to dry skin. The lightweight formula uses time-release technology to encourage ideal hydration levels by attracting and sealing in moisture throughout the day. An advanced combination of hyaluronic acids helps to increase moisture for deep hydration to support healthy skin elasticity. Rosewater soothes while rose flower oil nourishes. Enriched with antioxidant vitamin E, this soothing face cream provides non-stop daily hydration for petal soft skin. 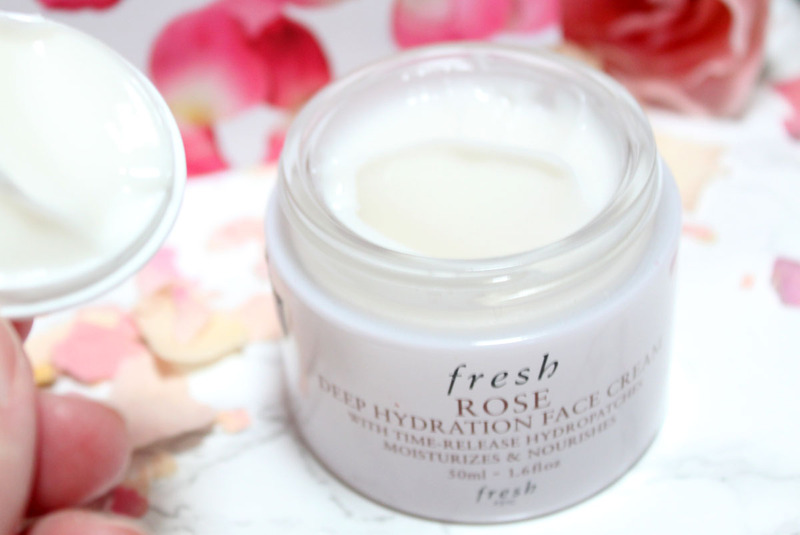 This moisturizer feels luxurious straight from the gorgeous packaging and it smells divine! The subtle rose scent is indulgent and natural. 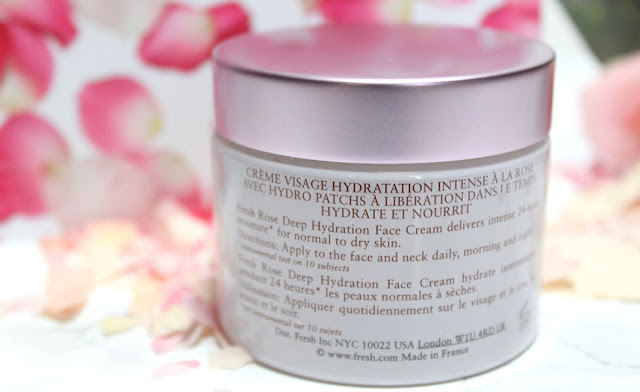 The cream is lightweight and sinks in to the skin immediately. I love that I can use this at night and wake up with super soft skin as well as wear it under my makeup during the day. For being such an intensely hydrating moisturizer it doesn't feel heavy at all. It gives a soft, non-greasy finish. Having sensitive skin this does not irritate my skin at all. It nixes those dry patches with out any added oiliness to the T-zone and does not break me out. I feel like this will work wonders for all skin types. I am extremely pleased with how well this face cream is working out for my combination skin. My skin just feels healthy and even has a little bit of a glow to it even during these cold grey days. 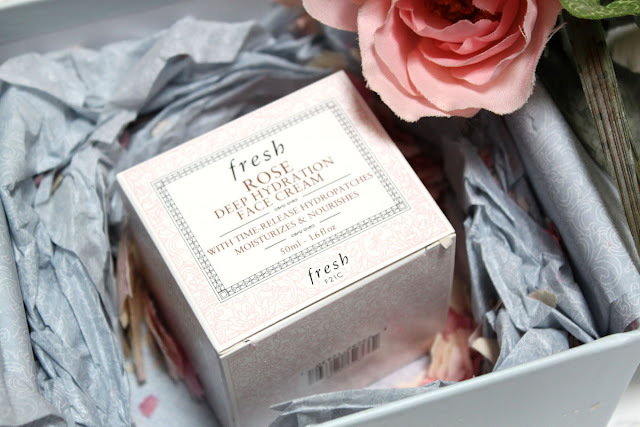 Treat yourself to Roses in the form of long-lasting gorgeous skin, you will not be disappointed!